Yesterday, Governor Andrew Cuomo announced that he’s moving forward with the removal of the Sheridan Expressway, a 1.25-mile Moses-era highway that cuts off South Bronx neighborhoods from the Bronx River waterfront. Construction is scheduled to start next year, according to the governor’s office. Cuomo’s decision marks the most significant victory yet in the long neighborhood advocacy campaign to tear down the Sheridan and replace it with housing and parks. The highway removal is really going to happen, it seems — the major question is what will replace it. The state says it will replace the Sheridan north of Westchester Avenue “with a boulevard design that is both pedestrian and cyclist friendly,” and build new ramps connecting to the Hunts Point Market to keep truck traffic off local streets. The cost is pegged at $1.8 billion — more than ten times the estimate in a 2013 city study that put the cost of the boulevard and ramps at $117 million. It’s not clear if the scope of the project is significantly larger than that study. Several neighborhood organizations and citywide advocates have been making the case to remove the Sheridan for nearly two decades, working under the banner of the Southern Bronx River Watershed Alliance. At first it seemed like a longshot campaign, but after a dramatic tug-of-war with the state DOT, advocates are on the verge of a huge victory. In 2010, after the state DOT rejected the idea on flimsy pretenses, the teardown seemed like it might be slipping out of the realm of possibility. But advocates turned to the city, which got federal funding to study the concept and two years later endorsed converting the highway to a walkable boulevard, freeing up land for housing and waterfront parks. Then the project languished for years, with neither the city nor the state advancing it. Advocates had a champion in Assembly Member Marcos Crespo, however, and they kept trying to make headway in the state budget. Last year, with the Bronx’s Carl Heastie leading the Assembly Democrats, Cuomo committed $97 million to the project. The conceptual design unveiled yesterday (above) is far from ideal. It maintains the same number of travel lanes as the Sheridan, and omits bikes lanes and crosswalks included in the city’s 2013 proposal (below). In 2013, the city recommended converting the Sheridan Expressway to a surface road and released this concept with a much narrower roadway than the design concept revealed by the state yesterday. The governor’s office told Streetsblog that the design is subject to change. To get it right, the next few months will be critical. “For us it’s absolutely critical that we engage in this process, and that we mobilize our local community stakeholders to share their concerns and any opinions they have about the plan as it’s laid out,” said Angela Tovar, community development director at The Point, one of the alliance members. Reduce the total right of way, make it safe to cross on foot, put in safe, best practice cyclepaths, and put up some much-needed housing. To do otherwise is a waste of a lot of money. Cuomo’s strongman governing style leaves much to be desired in the emerging projects. The conceptual design is terrible compared to the city’s 2013 proposal. Why would you keep West Farms Rd and the Sheridan Expressway service road (Edgewater Rd)? You could build mixed-use buildings and public space. This proposal is a total joke. It’s basically about adding a handful of stoplights to a ridiculously wide highway. On top of that, at $1.8 billion, it’s a massive waste of money that could be better spent. *Real* teardowns of highways that don’t replace them with surface highways cost on the order of $100M for this sort of a distance. The rest of the money is going toward building surface highway lanes. 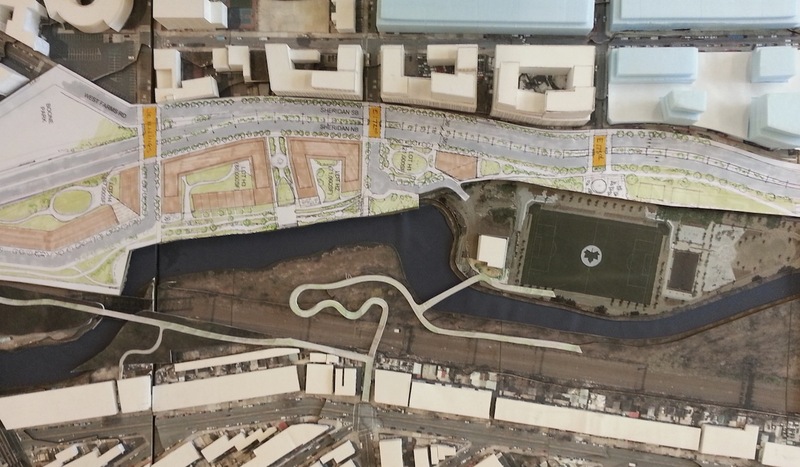 After this plan, the neighborhood will still be separated from the river by a highway. Just that, every 5 minutes or so, the lights will turn red and you’ll be able to walk across a ridiculously vast expanse of asphalt. Not exactly convenient access. And the opportunity for affordable housing sites near rapid transit will be lost. This plan is a slap in the face and it needs to be opposed by everyone who advocated for a Sheridan teardown. Cuomo has an amazing way of co-opting any progressive policy proposal and watering it down into (expensive) parody. 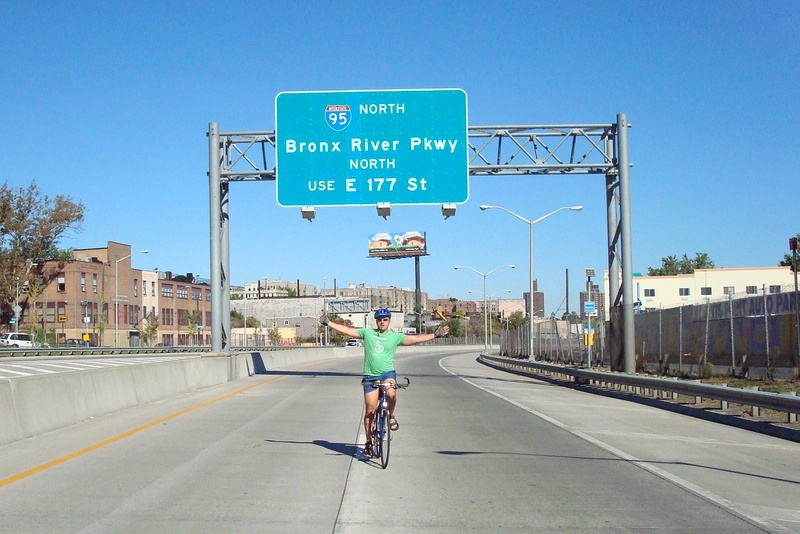 When will he commit to do the same with I-787 in Albany? Nuts ! Billions to have access to a small park area ! Guess the land developers have some real good friends. Want to build a piece of Manhattan on the dirt cheap Bronx but don’t pretend it’s for the people we know who it’s for. Are trucks on the southbound Bruckner boulevard allowed to make a “u” turn at the intersection with 140th Street to then head north to 149th Street or Leggett Avenue? Seems to me that would be less costly then new adding new overhead ramps to an elevated Bruckner viaduct that the freeway “tear-down” movement would apparently leave in place. They plan to add rampways to the blvd to reduce truck traffic detouring through neighborhoods to get to markets in the neighborhood. This is where most of the cost is supposed to come from. It seems to me like they could just upgrade the Bronx River Parkway South of I 95 to full Interstate grade, and extend it right into hunts point market. It could be mostly recessed below grade to maintain Parkland. Then the existing 895 could be totally downgrade to a local Street with Parkland.